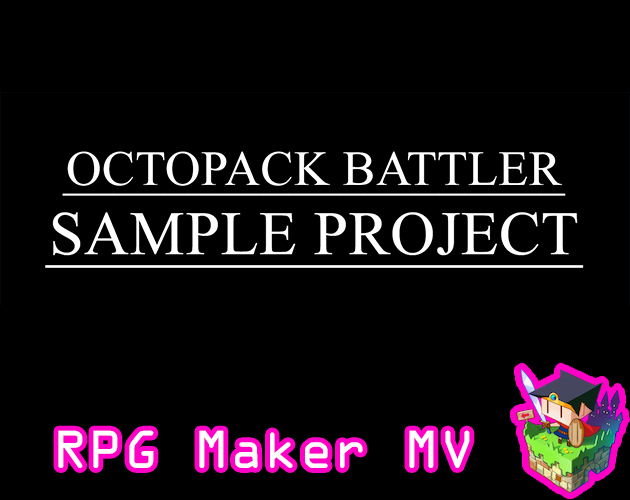 Our friend, Fallen Angel Olivia, has a new update to her OctoPack Battler Sample Project! An update has been made to Order Turn Battle. I’ve received some reports of certain Yanfly’s Buffs & States Core Lunatic Mode codes failing to work properly with Order Turn Battle. I don’t know why this happens, but I suspect it has to do with turn order calculation. This comes as a big surprise to me because I use a lot of Lunatic Mode notetags inside the sample project, too, and they have been working fine as far as I can tell. But since I cannot know how every single user is placing their notetags inside their projects, I have made a fail safe to organize it properly to prevent future problems with it. 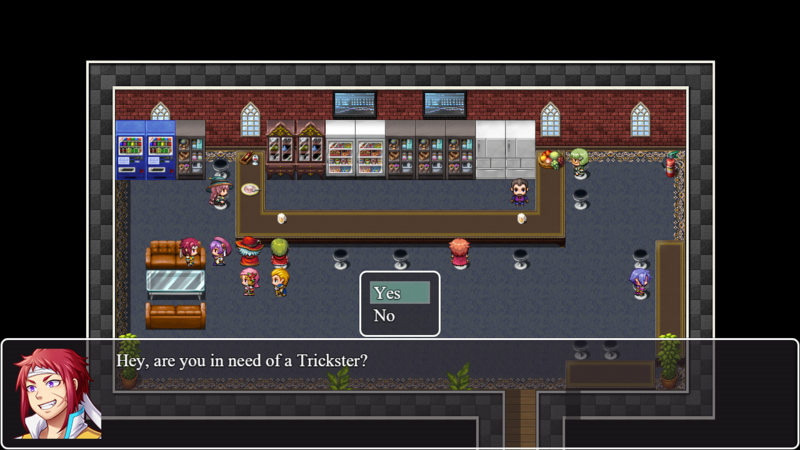 The Trickster is the newest class I’ve added to the sample project. It has 8 new skills added to it! This is Yanfly’s Jump Tips & Tricks added into the sample project to show it does indeed work with OTB despite what many people claim otherwise. 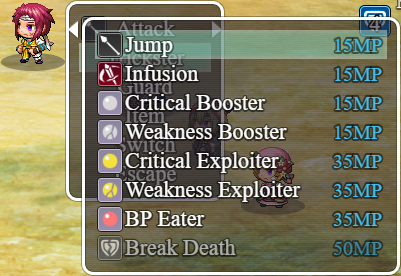 This skill makes the user jump into the air for 2 turns, becoming untargetable. After 2 turns is up, the user falls down from the sky and lands on the selected enemy, dealing critical damage to it. The Trickster is a class that brings in a lot of mechanics from the Persona series by using Yanfly’s Lunatic Mode alone! It can give an ally a state that makes a special effect: if the ally hits an enemy’s weakness, that ally will gain an extra action immediately after, as long as the enemy’s weakness hasn’t been exploited already during that turn. This is a pretty unique class! It also shows the type of potential gameplay that can happen with different mechanics added to it like Persona’s 1-More system and All-Out Attack. Please take your time exploring the the new features!